Born in New York City, Rene Profit-McLean (a/k/a Muhammad Al-Amien Abdul Kariem) world renowned Multi-reed Instrumentalist (Alto, Tenor, Soprano saxophone, Flutes, Ney, Shakuhachi), Composer, Band leader, Educator and Producer, began his musical training at the age of nine under the tutelage and guidance of his father, world renowned alto saxophonist and educator Jackie McLean. Rene recounts: “My father began giving me the saxophone in stages beginning with the mouth piece then the neck and finally the horn”. As an adolescent, the young McLean was already performing with local Jazz, R&B, Calypso, Latin and other bands of varied musical traditions, making his debut with Jackie McLean’s band in the early-1960’s as well as leading is own band’s. Rene McLean’s debut as a band leader and producer began at the age of 16 in August 1963 on New York City’s lower east side at the East River Park Amphitheater in a concert sponsored by Mobilization for Youth Inc. and produced by Rene featuring several bands of Young Lions of the era which included his group featuring : Larry Willis (Piano), Eddie Gale (Trumpet), Pete Pearson (vibes) and Alan Silver (Bass). In addition his band also played at the original world famous Birdland as part of Alan Grant’s Sunday afternoon Jazz series featuring young and up coming musicians, as well as being one of the first bands to perform at the famous lower eastside 60’s Jazz spot ” Slugs”. He later introduced the owners to Jackie McLean; that was the beginning of Jazz at Slug’s, the rest is history. Rene continued his studies with his father as well as with the Jazz Arts Society, HARYOU ACT Cultural Program under Julian Yule, Rheet Taylor, Jackie McLean and Kenny Dorham; the Clark Terry Youth Band, Jazz Mobile and later at the New York College of Music (N.Y.U.) and the University of Massachusetts. In addition he studied privately with such luminaries as Sonny Rollins, Frank Foster, George Coleman, Kenny Dorham, Jackie Byard, Barry Harris and Hubert Laws. Rene has performed and recorded as a leader and featured sideman with the creme de la creme of Black Musical tradition such as: the Dizzy Gillespie Big Band, Lionel Hampton – All Stars, Tito Puente Orchestra, Caesar Concepcion Orchestra, Frank Foster’s Loud Minority, Sam River’s Harlem Ensemble, Ray Charles Orchestra and the Cape Town Symphony Orchestra; to the smaller ensembles of : Jackie McLean, Horace Silver, Woody Shaw, Dr. Bill Taylor, Doug and Jean Carn, Baba Olatunji, Hugh Masekela, Miriam Makeba, Abbey Lincoln, Arthur Prysoc, Little Jimmy Scott, Dexter Gordon, James Moody, Yusef Lateef, Jaco Pastorius, Jerry Gonzales’ Forte Apache Band, Hamza El Din, as well as in collaboration with premier poet-activist Amiri Baraka (Leroi Jones), Jayne Cortez/Fire Spitters and as Musical Director/ Composer for the production of Ntozake Shange’s play “For Colored Girls…”, choreographed and directed by George Faison and Oedipus the King directed by Jonathan Wilson, Mclean has also appeared in the movie Cotton Club and advertising adds for BASF and Smith & Barney Investments. Rene McLean draws inspiration and insight from the rich diversity of the African American tradition and various world music genres with particular emphasis on Eastern and African traditions. He has been the recipient of several National Endowment for the Arts grants and fellowship awards. In 1986-87 Rene was awarded the prestigious Creative Artist Fellowship by the Japan-U.S. Friendship Commission and the National Endowment for the Arts to reside in Japan to research traditional Japanese music, arts & culture as well as to perform and teach. He has also spent time researching musical traditions and performing in Bali, Indonesia. McLean’s teaching experience is unique and diverse. From 1970-73 he was Bandmaster for the N.Y. State N.A.C.C. Melrose Community Center, South Bronx. From 1984-85 Rene was Artist-In Residence at the University Of Hartford’s Hartt School of Music, Dept. of African American Music. 1985-2000 McLean lived in South Africa, where he performed, taught and researched musical traditions. As consultant to the Mmabana Cultural Center he developed the foundation for the Center’s music program and curriculum, subsequently heading the music program from 1987-90. From 1991-1992 he was a visiting member of the New School Jazz, NYC program. From 1994 to 1998 McLean was a Lecturer in Jazz Studies at the University of Cape Town. In addition McLean produced and hosted a weekly radio program “Perspectives in Jazz” on Bush Radio South Africa’s first community based station from 1994 to 1999. 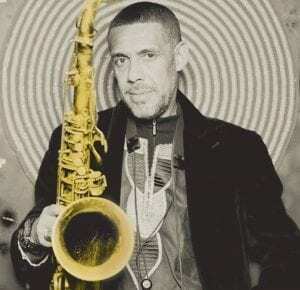 For five decades or more Rene McLean served as Protege/Apprentice to Jackie McLean; twenty of those years as Musical Director to the numerous ensembles Jackie and Rene co-led. Rene McLean maintains an active travel/performance career leading his own band and various related projects. Rene is at present, he is a Professor of African -American music on the faculty of the Jackie McLean Institute at the University of Hartford, and Master Artist /Director In -Resident of Music at the Artists Collective, Hartford CT. McLean has performed at many international & national festivals, conducted workshops and lectured at numerous universities and cultural programs in the U.S., Caribbean (including Cuba), as well as in South America, Europe, Lebanon, Japan, Indonesia, South Africa, Lesotho, Botswana, Swaziland, Namibia, Mozambique, Zimbabwe, Madagascar and Mauritius. In 1990, the United States Information Agency invited and sponsored Rene McLean to perform and conduct workshop/lectures at the Jazz A Mada festival in Madagascar and Mauritius. In 1993 the United States Information Agency invited and sponsored the Jackie Mclean/Rene McLean Jazz Dynasty band to tour six Southern African Countries.